In this digital times, it’s always important to be connected and that to all the time. and we live with the gadgets more than humans in number around us. I was truly looking for something minimal and something productive which can easily complete my charging needs, as well as I, don’t have to put a heavy block of power bank in my pockets and look like a fool wherever I go. 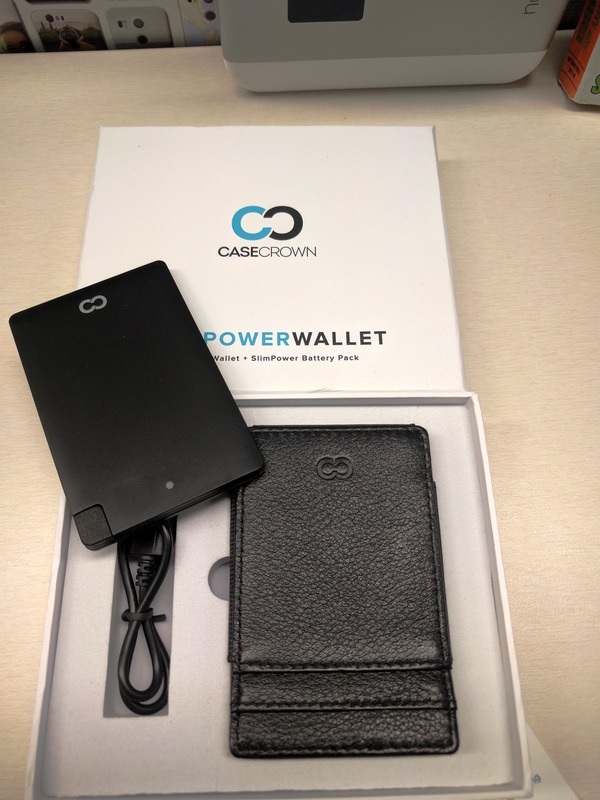 I bought this CaseCrown Slim power wallet just to check how it turns out in order to full fill my demands. and surprisingly it’s really nice ,neat and minimal piece of equipment. the battery inside can be taken out and the battery is like a mini HDD but very sleek in design and power packs 2500 mah power inside it which is pretty enough to get you out of trouble on a rainy day and power up at least one iPhone to the full charge. it can be charged with any regular micro USB charger so one thing less to carry around. NOTE: this is my independent unbiased review and NO ONE has paid or given any kind of free promotion for reviewing this.